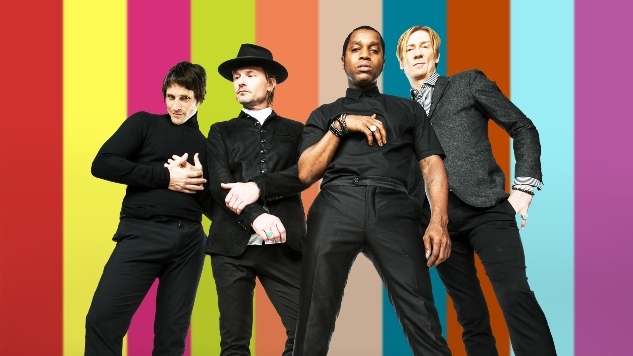 With three records already in circulation, well-traveled rockers Vintage Trouble will release their latest, Chapter II, via INgrooves on Nov. 9. The six-song EP will be made available in both studio and acoustic versions. Produced by Jeeve (Bruno Mars, Carlos Santana), the album is the band’s first to incorporate a more expansive soundscape, with the addition of keys and horns. The lead single off the EP, “Can’t Stop Rollin’,” drops today, Oct. 12, with a brand-new music video. Get an exclusive first look at the clip below. Watch the “Can’t Stop Rollin’” video and revisit Vintage Trouble’s 2017 Paste Studio session below.